Big Flameless Votive Candle in Glass Jar Made by 100% Paraffin Wax , Glass Jar Candle has a long burning time ,7days lasting even 14days. This kind of candle is a good choice for wedding ,lighting , ideal for home decorations , party celebrations , special occasions such as birthdays and bar use . Colorful makes it wonderful for wedding table centerpieces. It is perfect for church use . Any question and inquiry is welcomed. perfect for home , church , holiday , parties and weddings . 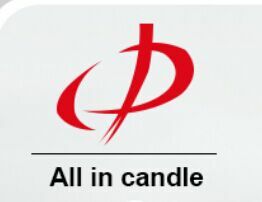 Looking for ideal 100% Paraffin Wax Jar Candle Manufacturer & supplier ? We have a wide selection at great prices to help you get creative. All the Big Votive Jar Candle are quality guaranteed. We are China Origin Factory of 14days Glass Jar Candle. If you have any question, please feel free to contact us.